Creating the right work environment when working from home can be hard. How do you find a space that’s both ideal for work but also quiet? Well, a garden room may be the answer and here are 10 reasons why. 1. A garden office translates to a better balance between work and life. All the hours spent commuting could be better spent with family, keeping healthy, keeping things in order, and indulging in your personal interests. In return, you would become more fulfilled and feeling that you are more in control in the coming year. 2. It is possible to achieve some of this with a home office, but not keeping things in order. A shared space is nothing but a recipe for clutter. It is more preferable to create a separate, dedicated work space in a garden cabin to keep things tidy and ensure that you are effective at work. The same applies to hobbies, projects, and crafts: a garden room is great for keeping things separate. The result: better organization, less clutter, and more efficiency. 3. The same applies in reverse too. Your kit and caboodle mixed up with your laundry does not help anybody and can make you feel that work is constantly with you. A bit of separation can keep you and the rest of your family sane. The result: your work day starts and ends when you say, you feel more in control, and your family gets to spend time with you for several hours. 4. A healthy you. Buildings made of timber are better for both body and spirit than the average brick and plasterboard and much better than sick air-conditioned buildings. They help keep the humidity and temperature levels even, discourage mold spores and dust, and wooden surroundings gave been shown to be beneficial on the symptoms of stress. The result: It is hard to promise a stress-free time, but your garden cabin will help you cope and feel better. 5. The starting price for garden buildings is surprisingly low for summer houses or smaller garden offices. Even grander designs are considerably cheaper than the equivalent extension and are far easier to plan. The result: you can design, build, and accessorize them attractively in the time it will take you to file a planning application for an extra room in your house, and at much lower cost. 6. In terms of economy, if you run a small business or are self-employed, compare the installation and operating costs of a garden office to the equivalent space in an office that you rent. It is next to impossible to get space even in a new business incubator for below $300 per desk per month. 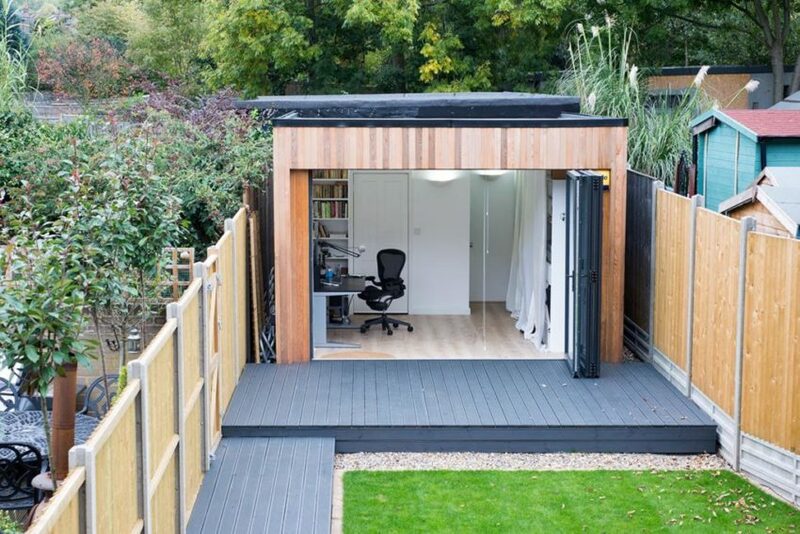 The result: for 2 desks, a garden office can pay for itself within the first year alone. 7. In terms of cost reduction, if you currently work from home and leave the central heating on all day, heating just one small space during working hours can help save you a fortune. The best garden offices are double glazed and feature extra insulation, The result: even lower heating bills. 8. A garden cabin has the extra benefit of being a space with multiple uses. A garden office could not only become a workshop or leisure room later, but it is possible to design one with multiple rooms and multiple functions now – a gym, a summerhouse, an office, a hobby room, a workshop, a garage, a shed area, etc. The result: it is possible to select the functions you want and combine them in a single timber building. If this garners your interest then check out these garden rooms for sale. 9. If cost effectiveness is still on your mind, good for you. If you have a VAT registered business, it is possible to claim back the VAT on the cost of installation and some of the fittings and fixtures in your garden office. Office fittings typically don’t qualify in your capital allowance against corporate taxes, but some fittings and fixtures do, which include the installation of utilities, so talk to your accountant. Alternatively, you might decide that it is better for your household and business circumstances to charge rent to your business for using the garden room. The result: it is a great way to offset the costs of the garden office, either way. 10. Go back to the start and keep in mind that resolutions are supposed to be about doing what’s good for you. Saving time, saving money, and keeping your work separate from your home are all key benefits, but it is more fulfilling to create your own working space than simply achieving these. The garden office is yours, and you can design it exclusively for you. It is close to nature, outdoors, but has all the comforts you can find indoors. Your timber office can also be an incredibly beautiful building that makes you happy whenever you see it. All this and you get to save on costs too. The result: you need to get in touch with us.